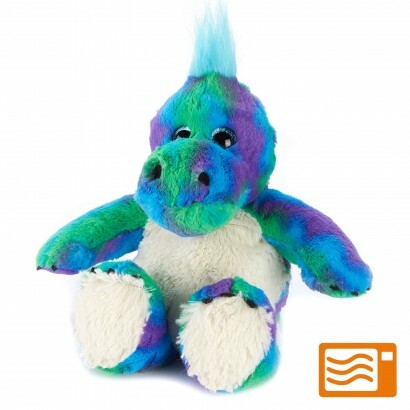 Just 90 seconds is all it takes for this colourful dino to warm in the microwave to give you the warmest of hugs! Filled with treated millet seeds and lavender, this colourful dinosaur is heatable to make a great, cuddly alternative to a hot water bottle. Pop him in cold beds, allow him to soothe aches and pains or just snuggle for cosy nights in, whatever you choose, this cute dino will be with you every step of the way!